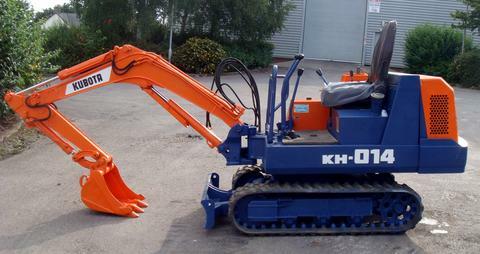 Kubota mini excavators also come in zero and tight tail swing models called the U series. Four of the five models in this line have zero tail swing technology. This means that the cab does not extend beyond the tracks even when turning, allowing operators to turn the cab and boom 360 degrees without worrying about hitting anything behind or to the sides of the machine. The back of the cab is weighted to provide centering and work stability. This is different from traditional models because the more traditional excavators set the cab in such a way that the back hangs over the edge of the track base to counterbalance the weight of the boom and bucket. 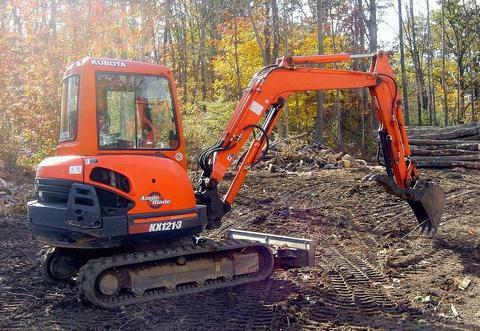 Maintenance is easy on Kubota mini excavators as well because work panels open wide, providing visibility and access to all main components. The engine, fuel tank, water separator, radiator, coolant reservoir, air filter, control valve and hydraulic tank are all a breeze to maintain. 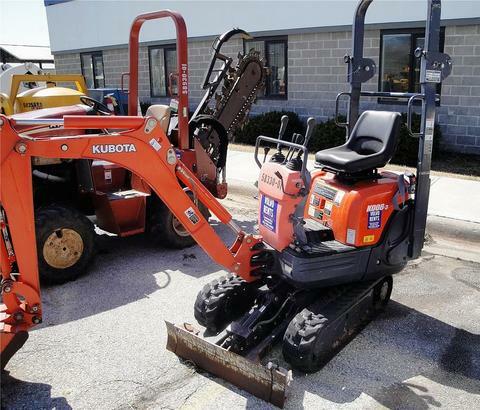 Other Kubota technologies available on some models include Auto-Idle, Anti-Theft, and a Float blade. Auto-Idle saves the owner money by conserving fuel. The engine automatically idles when the controls are in neutral for more than four seconds. As soon as the controls are moved, the engine comes to life, providing maximum power. Japanese always manufactured the precise equipments so as to fit for their domestic market.This cost effective excavator is one of such typical example.